As with the first two pairs, launched in 2006 and 2008, Schoen has designed two new scents as homages to a single scent ingredient, or aroma-chemical. What Molecule 01 did for ISO E Super and Molecule 02 did for Ambroxan, Molecule 03 does for vetiveryle acetate. Ultimate is an overused word. Some bandy it about, announcing that something or other is the ultimate sports car, the ultimate cabernet, the ultimate restaurant. 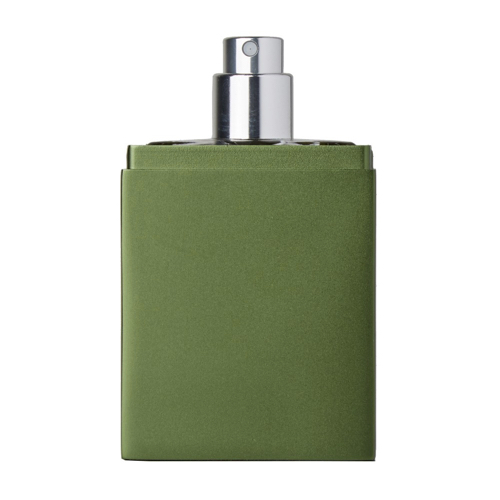 However, we can with confidence write that Molecule 03 is the ultimate vetiver. The aroma-chemical in Molecule 03 is vetiveryle acetate, a stark, clinical name for a vetiver note which is celebrated in its purest form in this fragrance. Amazingly, this single note runs the gamut of all aspects of vetiver. 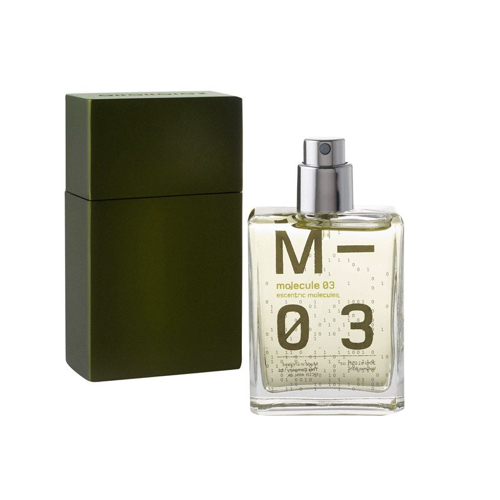 Molecule 03 opens with a heady, sparkling brightness that develops into a rooty earthiness. As it melts into your skin, it contrasts with the slightly sweet and very green heart that is a hallmark of this perennial grass native to India. It has that yin and yang of cold and hot; it’s a skin scent with a sly sillage. Were it jewelry it would be a single, flawless emerald in a simple platinum setting, a thing of beauty and perhaps the most perfect vetiver you’ve ever experienced. Vetiver lovers: your ship has come in.